Boris Johnson: Elle Mag's First "Cover Boy"
While most women's magazine almost always feature a smiling blonde on the cover, Elle takes a different approach and picks Boris Johnson as their first "cover boy". 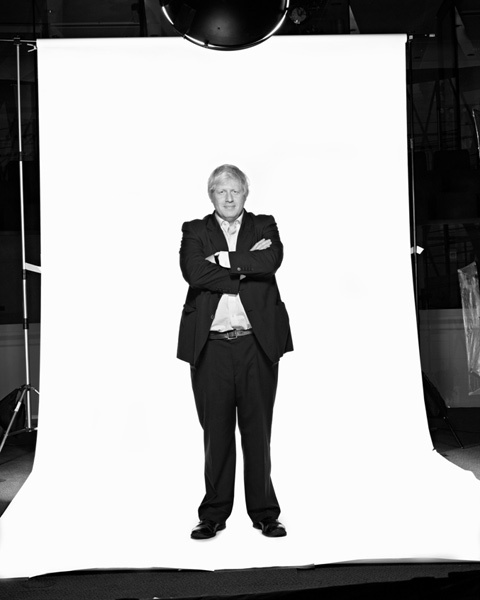 Boris not only posed for the limited edition "London" issue - produced to celebrate 25 years of London Fashion Week - but has also written the magazine's "editor's letter". Lorraine Candy, Editor in Chief says: "It took six months to put this special collector's issue together. Which other monthly magazin could get Boris Johnson, Lily Allen, Pete Doherty and Dame Vivienne Westwood in the same issue?" Let's just hope they're not planning to make this disshivelled-Mayor-cover-boy thing a habit. 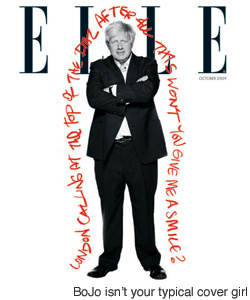 Boris Johnson's Editor's Letter appears in the October issue of Elle Magazine.